When deciding where to direct promotional funds for Internet marketing, marketers often focus on options that will offer a clear view of the return it will provide on their investment. For instance, when it comes to online advertising, a popular metric for estimating success is the percentage of clicks for each time an advertisement is presented to site visitors. Additionally, marketers will also consider whether a potential advertising placement is on a website that is of interest to their target market. For example, a company that manufactures rock-climbing equipment is likely not spending money to advertise on a food magazine website. Another factor marketers may consider is the perceived reputation of the Internet site where an ad may run and whether it matches what the marketer believes is appropriate to its organizational values. If it does not, the marketer may not consider advertising on the site even if the target market provides high traffic to the outlet. A good example of an Internet site, whose reputation may be causing advertisers to turn away, can be seen in this Los Angeles Times story. It reports on how companies seem to be avoiding advertising on Reddit, a popular website that may best be classified as a social interaction website. The site, which some ranking services list as one of the top 50 global websites, is struggling to attract advertisers. The big reason is the reputation that surrounds Reddit. 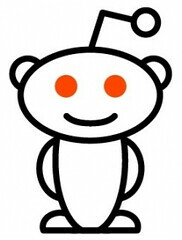 Over that last few years, Reddit has been impacted by a number of controversial issues. Given their business model, which gives the impression that nearly anyone can create an interest area, the site appears to be at the mercy of their users, which may not be such a good model for generating advertiser revenue. « Will Alcoholic Root Beer Be a Fad or a Real Market?